With over 10 million cardboard headsets out in the wild, Google’s low-cost virtual reality platform is nearly as iconic as the medium itself. 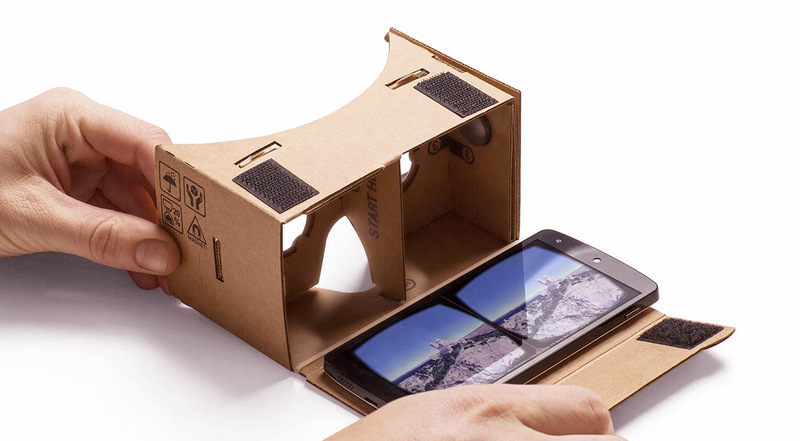 Built with simple, low-cost cardboard components, users simply download Google Cardboard-compatible VR apps, games, and videos onto their smartphone, insert the phone into the viewer, and voilà! The Google Cardboard splits the smartphone display into two equal halves, one for each eye- this results in a stereoscopic 3D image seen by the viewer. Google Cardboard is the ideal device for young kids or anyone looking for an inexpensive way to try VR for the first time- just be sure to keep your expectations in check. While the device will allow you to view 3D virtual worlds, Google Cardboard lacks any sort of controller, preventing users from truly interacting with their surroundings. Nevertheless, Google Cardboard unquestionably offers an excellent value for its price. 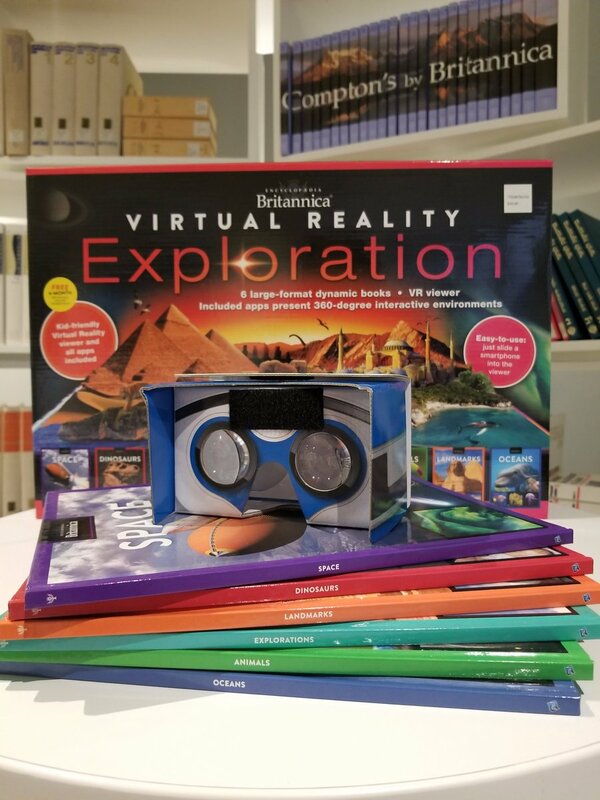 We’ll admit we’re a bit biased towards this product (we helped develop it), but another great low-cost VR solution is the Britannica Virtual Reality Exploration 6-book set, which not only includes 6 books on topics like outer space, animals, and oceans, but also a special Google Cardboard-like headset and 6 free VR apps (we made these) to accompany each book. Published in partnership with Encyclopedia Britannica for Publications International, this content-packed set would make a lovely holiday gift for any explorer in your life, young or old! The Britannica Virtual Reality Exploration 6-book set is available now exclusively at CostCo stores nationwide. 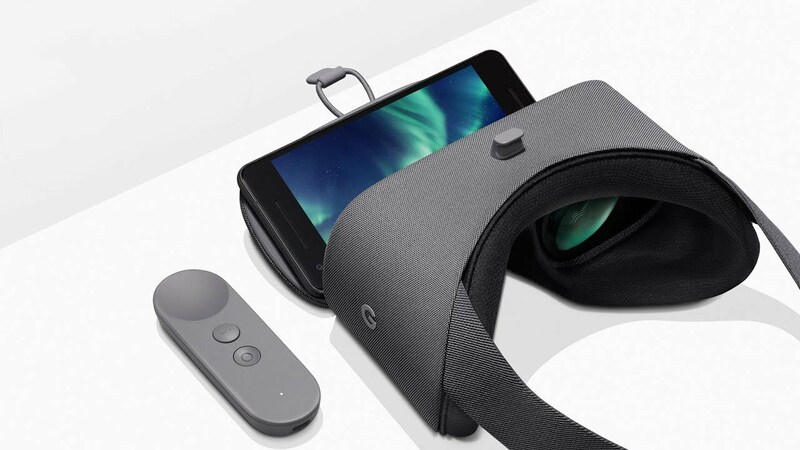 A step above cardboard VR in both functionality and price, Google Daydream View is a mobile virtual reality headset that requires a compatible Google Pixel or Daydream-ready smartphone to operate. The $99 headset, unlike the hardware we previously listed, includes a wireless motion-enabled controller, allowing users to interact with compatible VR apps and games. The soft, lightweight device comes in 3 fabric color options (grey, black, and red) and is available now. Similar to Google’s Daydream View, the Samsung Gear VR is another mobile VR headset that requires a compatible Samsung Galaxy phone to function. This wildly popular device has sold over 5 million units since releasing in November 2015, with developers continuing to output more apps to satisfy the device’s content-hungry userbase. GearVR includes a wireless motion controller, allowing for far more interactive virtual experiences than on comparable controllerless VR devices. 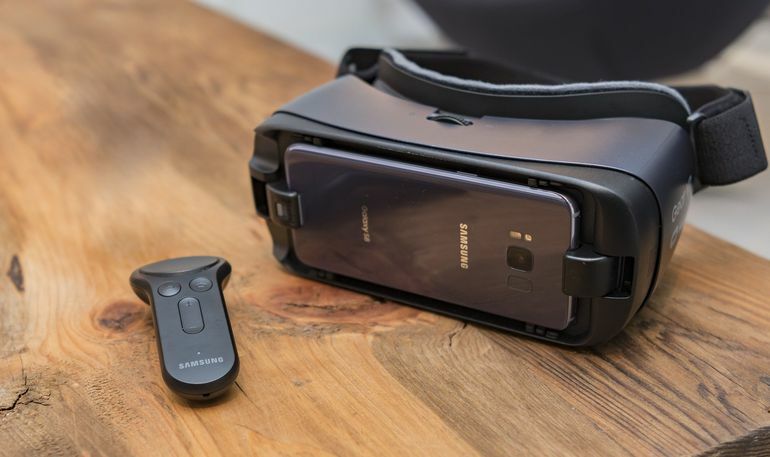 Owners of Samsung brand smartphones- the GearVR is likely the optimal mobile VR headset option for you. Oculus Go is the most expensive headset on our entry-level and mobile list, but it is also by far the most exciting device. 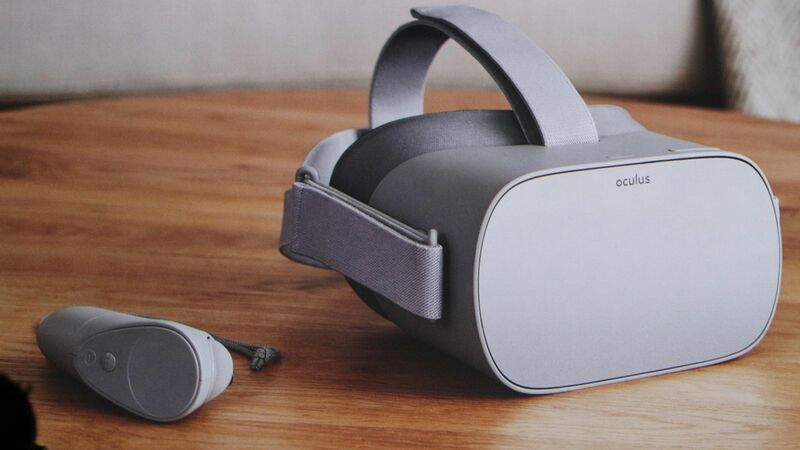 Unlike our previously listed budget options that require a smartphone or more costly “premium” VR devices that demand a powerful computer to operate, Oculus Go is a standalone all-in-one VR headset- it just works, no extra hardware needed. The Go includes audio built right into the headset, a high-resolution 2560×1440 display, and a controller with identical functionality to the one included with the Samsung GearVR. This means we’ll likely see a lot of cross-compatible VR apps released for both the Go and GearVR- more awesome VR software for all! Oculus Go won’t be available this holiday season, but keep an eye out for reviews when it launches in early 2018. Stay tuned next week for our VR Buying Guide Part 2: High-end, Premium VR! In the meantime, check out our CEO Dan White’s thoughts on “How VR Changes Learning” here.